William Haskell, current Official Editor of Rowrbrazzle, will be undergoing surgery in September, which means Steven F. Scharff will be the emergency editor for Rowrbrazzle #123, due this October. Haskell should return to his position as editor for issue #124, due in January 2015. Rowrbrazzle was launched in 1983 by Marc Schirmeister, the original editor. In 1989, Fred Patten took over as editor, until 17 years later in 2005. After a series of interim editors, Haskell took over in 2007. Rowrbrazzle has been called "a handy landmark to say that 'furry fandom existed at this time'." 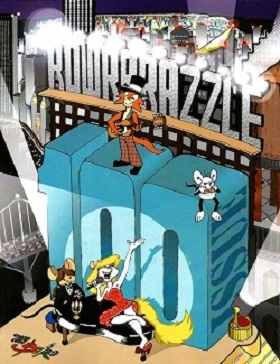 Members of Rowrbrazzle have included a veritable "who's who" of early furry fandom, including Stan Sakai, creator of Usagi Yojimbo, and three time Oscar nominee for Best Animated Feature Chris Sanders.